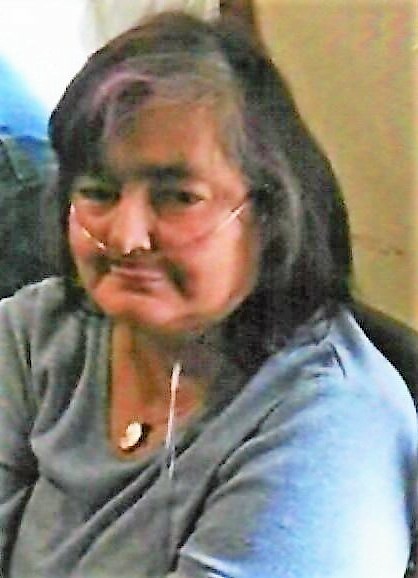 Norwich – Carol Duhaime, 61, of Norwich, passed away peacefully on April 12th at her residence. She was the daughter of the late Nicholas and Caroline (Brockway) Stamos and the mother of the late Amy Duhaime. The proud mother of Wendy Bagby and her husband David. She is survived by her brothers and their wives Nicholas and Sharron Stamos of Mystic, Cyrus and Gail Stamos of Norwich, her sister and their husbands Cindy and Frank Fink of Norwich, Glenda and Doug Collins of Danielson, Katherine Marceau of Norwich, three granddaughters Rebecca of Florida, Breanna of Norwich, Marina of Norwich and her great-grandson Connor of Norwich, Numerous nieces and nephews and two close friends Mike Broulland and Carol Bereis. Graveside service will be Wednesday April 18, 2018 at 10 AM at Maplewood Cemetery in Norwich. In lieu of flowers please make donations to Davita Kidney Care.